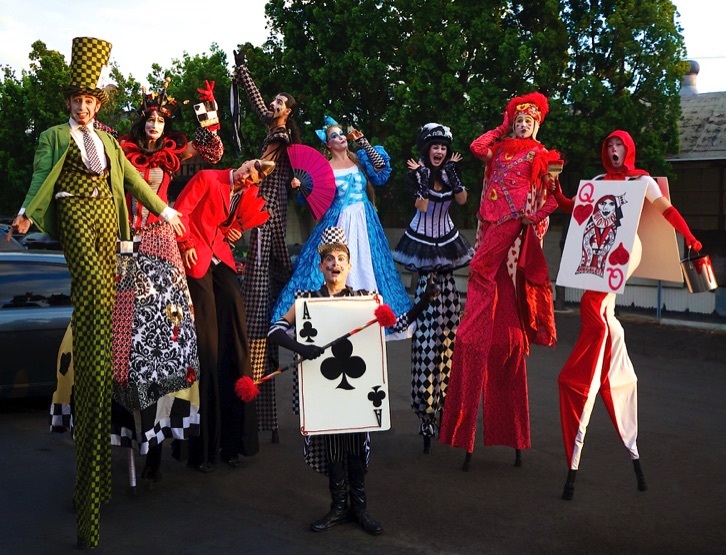 Everything Stilts: Stilt Puppeteer, Theater, Stilt Acrobatics / Acro-Balancing, Stilt Trick Bar, Bouncing Stilts, 4 Legged Stilts, Stilt Juggling and Break Dancing on Stilts. Cirque Du Soleil: Kooza - Santa Monica Pier Centennial / Taste of Santa Monica. Disney: A Nightmare Before Christmas “3-D”Release Party at Disney's El Capitan Theatre. Red Bull: Employee appreciation picnic at Muckenthaler Mansion in Fullerton. Ritz Carlton Esquire House, Tentations.